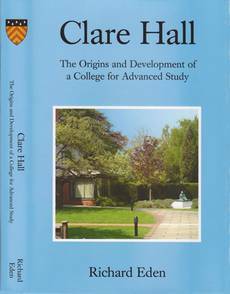 Clare Hall was founded in 1966 on the initiative of Clare College. It was envisaged as a college with three main classes of members: university teaching officers whose principal focus was research; visiting academics who would stay in Cambridge for between six months and a year; and graduate students. It would have a special link with Clare College, essentially as a satellite of it. It was seen as an Institute for Advanced Study, loosely modelled on the Institute for Advanced Study at Princeton but shaped by its being a part of the University of Cambridge. The details of its setting up were worked out by Sir Eric (later Lord) Ashby, the Master of Clare College, and Dr Richard Eden, together with Richard Northam, the Senior Tutor of Clare; they were well described by Lord Ashby in a speech marking the College’s tenth anniversary. Clare provided the site for the new College, on the corner of Grange Road and Herschel Road, and elected Brian Pippard, a physicist and Fellow of Clare, to be the first President. Its initial endowment was provided by Clare and by the Old Dominion Foundation (now renamed the Andrew Mellon Foundation). The College’s new buildings, designed by the eminent architect Ralph Erskine, were opened in 1969, by which time twelve research students were living in Elmside, the house fronting onto Grange Road which had been converted into accommodation. The College expanded slowly through the 1970s, largely reflecting the growth in the number of research students in the university, and a neighbouring house on Herschel Road was bought, to be added to later by two further buildings in the college grounds. 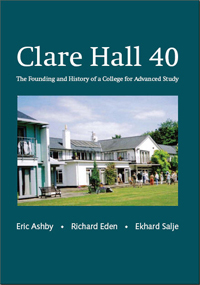 As a result of this expansion, in 1984 Clare Hall became a fully independent college with its own statutes and its own Governing Body. Its relationship with Clare inevitably changed, though the two colleges have continued to maintain close links. 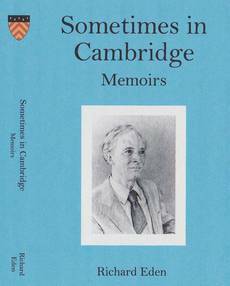 In 1978 the American scholar and philanthropist Obert Tanner set up the Tanner Lectures on Human Values, taking place annually in a group of leading American universities, Oxford and Cambridge. The Cambridge lectures were fixed in Clare Hall, and since then have provided a focus for the College’s outward-looking intellectual activities, complementing its internal series of seminars and colloquia. Their high point was a week-long symposium on time and the calendar in 2000, celebrating the millennium year. In the summer of 1996, the College purchased a substantial property, formerly the Cambridge home of Lord Rothschild, five minutes walk from the main college site at the western end of Herschel Road. This provided an opportunity to increase the number of apartments for Visiting Fellows and rooms for graduate students. After further development, the property was renamed West Court, and it now provides meeting rooms, studies, apartments, study bedrooms, a gym, an indoor swimming pool and a very attractive garden. Right on the west edge of Cambridge, abutting on farmland, it provides the perfect quiet environment in which researchers can work. Please contact the Porters Lodge or the Development Office to buy Clare Hall books.